This entry was posted in Books, Rebecca Bradley and tagged Book Review, Books, crime fiction, Disclaimer, fiction, NetGalley, Rebecca Bradley, Renee Knight, Reviews by Rebecca Bradley. Bookmark the permalink. 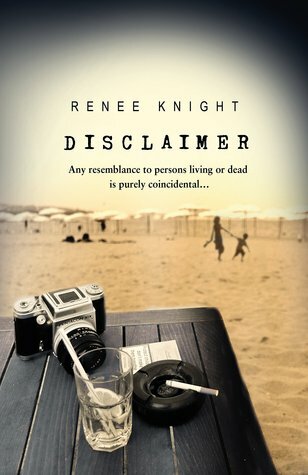 This is my first contributors blog over at Sourcerer and it’s a book review of Disclaimer by Renee Knight due out in April. Check it out and see what I thought. She sees herself in the book? That is creepy. Well done on the review, Rebecca! Thanks Alex. Yes, it’s a great premise for a book isn’t it! Sounds like a well-woven plot. Ever since Gone Girl, I’ve wanted another great psychological thriller. Maybe this is it? It is a great premise for a novel which is what drew me in. I think you’d probably enjoy it Jacqui. A great way to kick us off – with an intriguing crime thriller 🙂 The psychological aspects sound haunting and I imagine they make for some pretty intense conflict. I’ve read books where characters with seemingly unrelated lives come together in a powerful twist of fate. It’s usually fun to take the journey from two different points of view. Great review, Rebecca. I look forward to your pick for next month! Thanks Melissa. I appreciate it. It was intriguing as you really had no idea where it was going to end, especially as you already knew how the fictional (fictional) novel ended – if you get that! So it was interesting to follow. A fictional booby trap inside a piece of fiction – you’ve got to love that! Great job discussing the plot without giving away to much. I am so happy to be publishing your reviews here, and cannot wait for the next one! I am very pleased. As far as the overall quality goes, you can schedule your posts, as far as I am concerned. The only thing I’m looking for when I read these is missed keystrokes and making sure they’re categorized and tagged correctly so they get on the right menus and into the right topic indexes. Wow…. this sounds like an incredible book that could be turned into a thriller movie! Thanks for a great review! I’m glad you liked it. It does have that movie feel about it doesn’t it? And yes, I think it could easily be turned into one of those slow psychological movies that has you really twisting and wondering what is happening. I’m always on the hunt for a great new book! I’ve added this to my must have list along with the date it releases! Thanks so much for your great review! I’m glad you liked the review. I’d be interested to hear what you thought of the book when you’ve read it. Do let me know! A wonderful review. I want to read it! I think you sold a book, at least one copy anyway! I’m glad you liked it. It’s an interesting concept and really well written. Let me know what you think if you read it! I’m really pleased that I have a copy of this one – it does sound as though it will be a great read! Great review Rebecca! Thanks Cleo. I look forward to reading your thoughts on it once you’ve read it. Awesome first review, Rebecca! Sounds so interesting! I can’t believe she sees herself in the book. What an absolutely awesome idea! It gave me chills!